A year ago, I mentioned Crickett Hunter pistol in an article. More recently, I had a chance to try it for accuracy and was not disappointed. This is from 25 yards on a windy day, with pistol rested on a bag. Scope is the basic 2×20 shipped with the gun. Ammunition was a birthday gift from a friend about eight years ago. Other groups I shot were very similar. The one unattached hole was likely the result of my target flexing in the wind. Considering that I am a mediocre marksman and hardly ever shoot scoped pistols, this is pretty impressive. The five round group is around 1/2″, and the four touching bullets are half of that. Cost to duplicate that: $137 plus whatever your store would charge you for the transfer. The pistol I linked has plastic instead of wooden frame, but also comes with a bipod and a hard case which my pistol did not have. If you prefer wood, $159 gets that. In a world of multi-thousand dollar match pistols, that’s a pretty good deal. 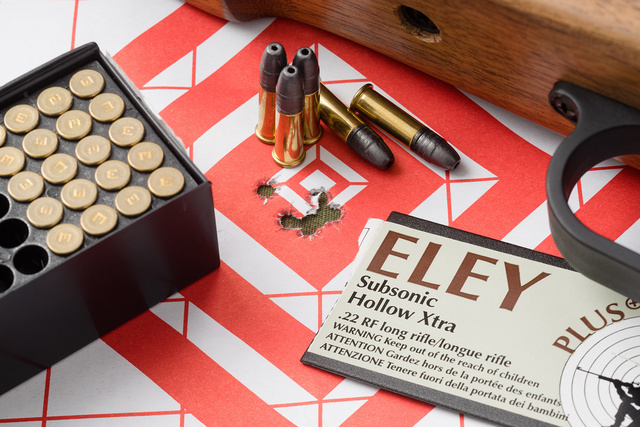 The ammunition might not be as cheap as most 22LR, but it appears to be well worth the extra cost for the accuracy. 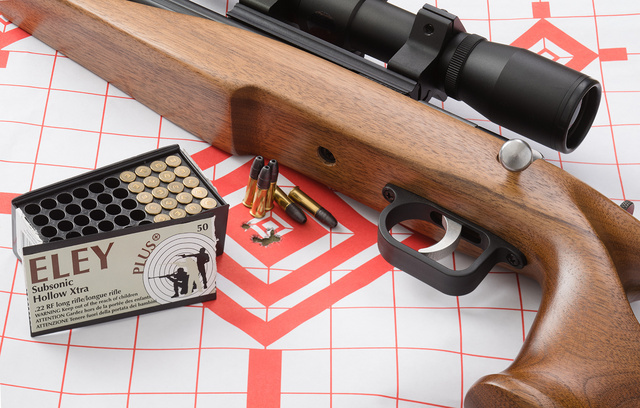 This entry was posted in ammunition, pistol and tagged 22LR, bolt action. Bookmark the permalink.